There is something very special about holiday entertaining. Everything is so sparkly and the festive spirit of the season seems to permeate everything from the guests to the food. Coming together with our nearest and dearest, sharing the joys of life with others, is the core of what this season is all about. Don’t let holiday stress creep in and tarnish your enjoyment of your holiday party. With a little careful planning and preparation you can sit back and enjoy your party with all your guests. I have to be honest here, I don’t do much holiday entertaining. If we lived closer to family or close friends I’d be all over throwing an annual holiday party, but during this season of our life it’s not in the cards. Because it’s been so long since I’ve done entertaining like this, I wasn’t really sure what to include in this section aside from the printables you’ll fine here. If you can think of any that would be helpful to have, let me know! I’m happy to add to the collection. 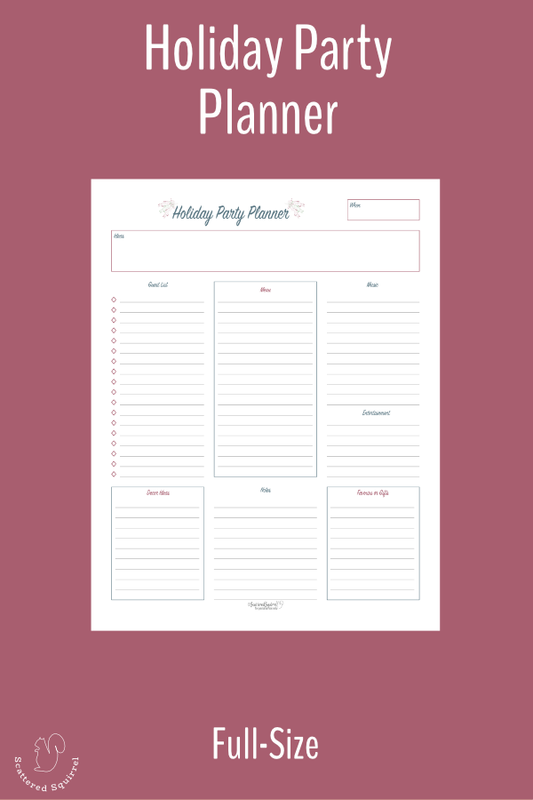 These party planner printables were designed to help make planning your holiday party easy. Keep track of all the little details for you holiday event in the various sections. 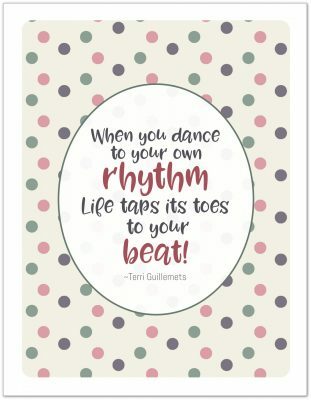 Use these printables as a great overview or starting point for holiday entertaining. Pair them with note pages or with some extra pages from other sections to create a detailed plan for your holiday party. Take the stress out of getting ready for guests with this ready made hostess cheat sheet. On it you will find a list of suggested tasks to do in the week leading up to your event. I’ve found this cheat sheet to be so helpful in keeping me on track so I’m not spending the night before staying up all night trying to get everything done. I hope you find them just as helpful. There really isn’t an assignment for today. If you are planning on doing some holiday entertaining this year I hope that you find these printables useful. 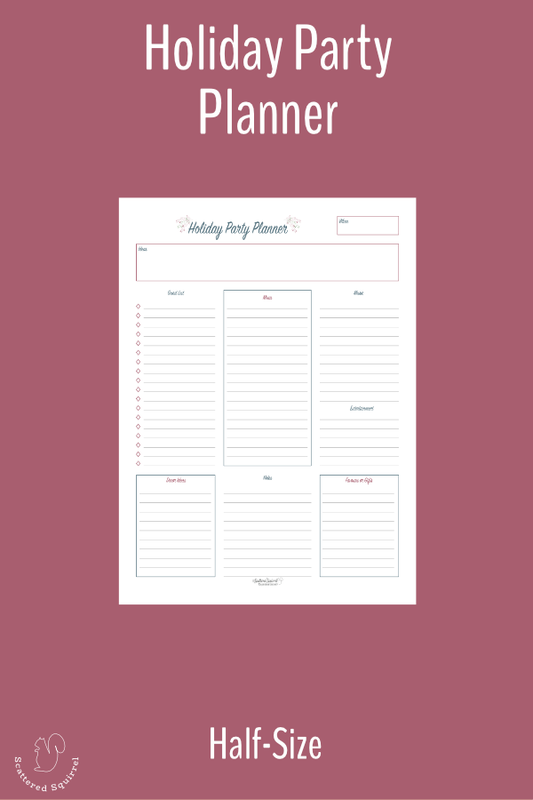 Are there other printables that you would find helpful for planning a holiday event? If so, drop me a line in the comments below and let me know. Don’t forget to hop on over to the Facebook group and check out what’s happening there. We’ve been talking about decorating and hearing how everyone decorates has been so much fun. Which brings me to a question for you – what’s your favourite holiday decoration? As always, if social media isn’t your jam, please feel free to use the comment section below to answer today’s question, ask questions of your own, or just say hi!